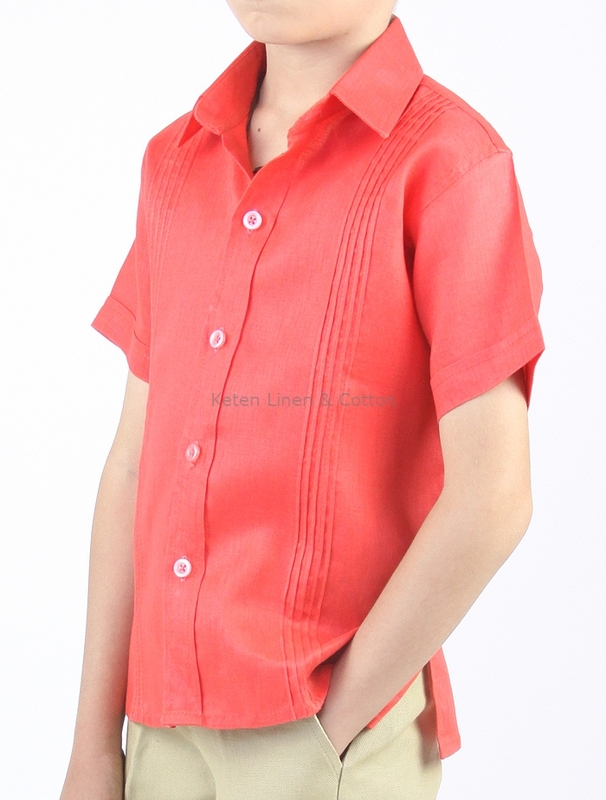 Boys Coral Shirt 100% Linen. 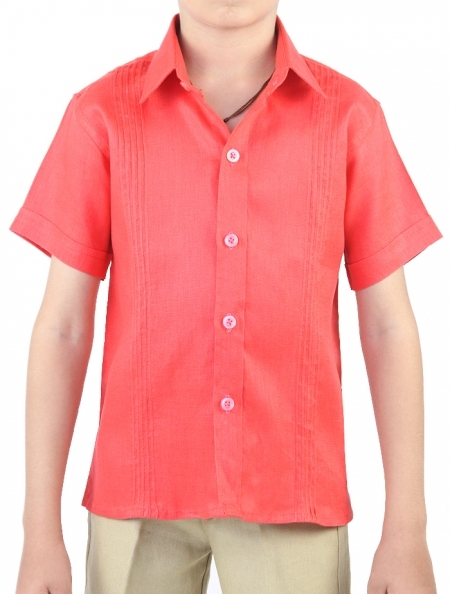 Short-sleeved shirt features a buttoned front, basic collar and hand made tucks. 100% Italian linen. Only the best quality and exclusive designs at Keten | Linen & Cotton.